Pre-heat the oven to 175 degrees. Grease a loaf tin with oil and then dust it with flour and keep aside. Mash the bananas in a bowl and add the oil and mix well. Add sugar, eggs and vanilla essence and combine well. Mix together flour, baking powder and salt and add into the banana mixture and mix all the ingredients again . Pour the batter into the greased loaf tin and bake it in the pre-heated oven for 45-50 mins. 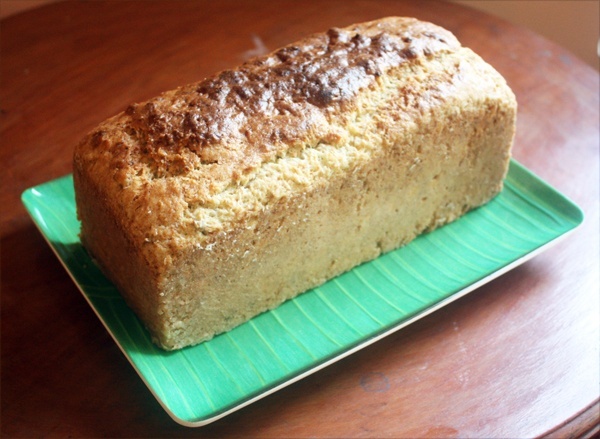 Insert a toothpick in the center of the loaf and check if it comes out clean. Let it cool for 5-10 mins , then turn out over a rack.